As I sat down to write my fashion for you today - a long-planned celebration of Irish mothers - I got word that a young friend of mine's too-young mother had passed away. Last night, the husband of another friend, a mother of three, messaged me to tell me his wife is seriously ill. The black plague of our times, cancer, has a lot to answer for. Too many mothers taken too soon. Which makes it all the more important to write today in celebration of mothers, and to give you the heads-up to get planning for Mother's Day, which is in two weeks. We don't have all the time in the world. Go hug your mum, now! On our pages today are Irish mums and their daughters, working women all. Women for whom either being a mother, or their mother's support in their lives, is central to who they became. All are from the Irish fashion and lifestyle industries, creating in our country and selling nationwide in the wholly Irish-owned Kilkenny shops. Inspired by their mother's strengths, some of our creatives got their first business break in the Kilkenny shops. Others' businesses grew from the relationship with Kilkenny. Indeed, historically, working mothers from the Kelleher family have always been heavily involved in Kilkenny. Doing the shoot was an emotional day for everyone as love, real love, was in the air. As was true appreciation for the values and skills their mothers passed on to them; the support their mums gave them in their darkest hours as they struggled with business or family life. Above all, these brilliant, talented creative women appreciated what their mothers taught them about work and love. 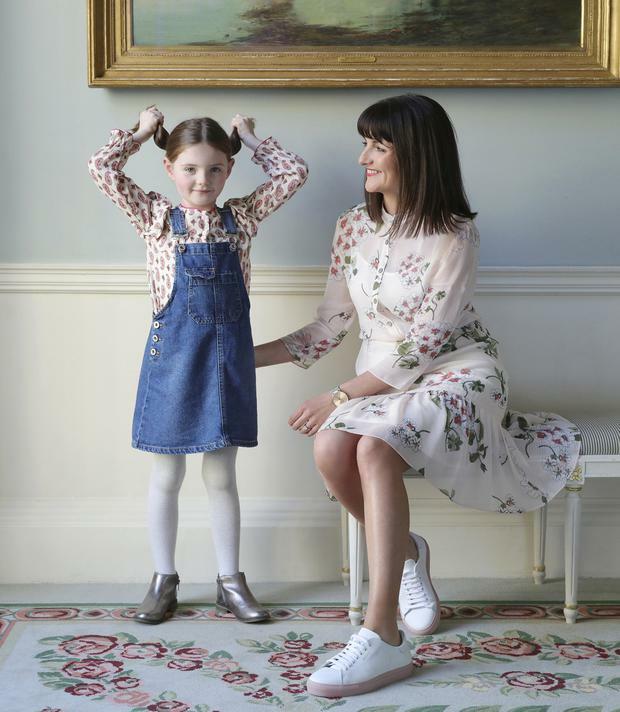 This Mother's Day, Kilkenny is rolling out the red carpet, highlighting the perfect gifts, be it fashion, jewellery, books, candles or beauty; as well as offering free gift-wrapping. Kilkenny wants it to be a feel-good day for mothers. If you live in Dublin or are coming up for the day, I recommend its Nassau Street cafe for a tasty nosh-up. So, now, you don't even have to think too hard about what to do for your mum. Just pick! I was blessed to have an enlightened young mother whom, at 20 years old, when people asked her, "How is the baby?" would respond, "She's a joy, as always". Relatives and family would look at her askance, and think her mad to describe any baby as a joy, when every woman in Ireland knew what a chore motherhood was. My young mother didn't need new-age texts to tell her that joy was the word. Thus, I had the greatest gift a child could have in life, a mother who recognised the bounty she had. It took me a lot longer to agree with her!